For those who have never had the chance to look inside the California Zephyr train car, the next opportunity is Feb. 27. The Maricopa Historical Society hosts its annual seminar in two parts that day. Part 1 is from 9 a.m. to noon at City Hall. Speakers will present “Maricopa: A City on the Move,” with information about the influence of railroads in the city. The open house at the Zephyr will be from 1 to 4 p.m.
Paul Shirk, president of the MHS, said the Zephyr is interesting to rail history buffs because it is so uncommon today. The Zephyr, which sits on a short strip of track next to the Amtrak station in Maricopa, is owned by Pinal County. It was used in the filming of the movie Pearl Harbor before it was transported to Maricopa. Shirk will be one of the speakers at the city hall seminar. 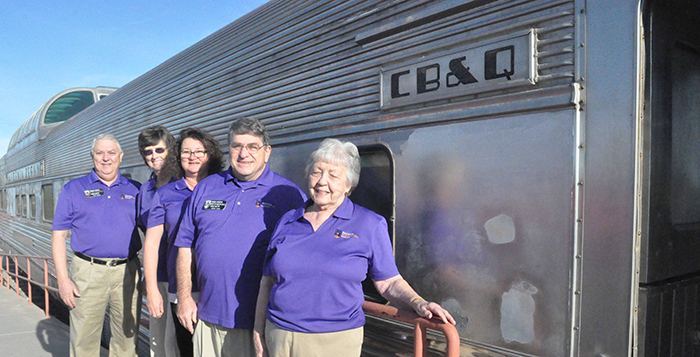 Scheduled presenters are Alice Duckworth, collections manager at the Arizona State Library, a representative from the Saguaro Central Railroad Preservation Society, and MHS Vice President Denny Hoeh, who will talk about the local history of trains. “Maricopa has had four names and three locations, and it all had to do with the railroad,” Hoeh said. Shirk said the seminar will also offer articles and books addressing the impact of the railroad on Arizona. Shirk said the seminar is not just about the past. Explaining the development of the railroad is also explaining Maricopa’s future relationship with Phoenix. The impact of the railroad on the city was the impetus for millions of dollars being committed to Maricopa for an overpass. The railroad was an important part of the Maricopa Historical Society from its founding. The MHS is an off-shoot of the Friends of the Maricopa Public Library. One of its first events in 2011 was opening the Zephyr rail car to the public, according to Treasurer Brenda Campbell. It is opened twice a year. 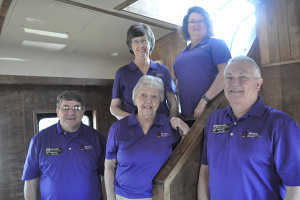 “That book not only talked about the history, the three locations and the four names, but it talked about the early days of Maricopa and the people who made it and the organizations,” said Campbell, who came on board to help with organizational paperwork like writing bylaws. Dorothy Charles, also on the board of directors, loves history and research and joined the society when it was a year old. She documents items donated to the MHS and acquiring and protecting more historical items. “It was very exciting to be in on the ground floor, but a lot more work than I was realizing at the time,” she said. Fellow director Joan Garrett came to Maricopa six years ago from a town steeped in history in Michigan and also was recruited by Brock to join the society.